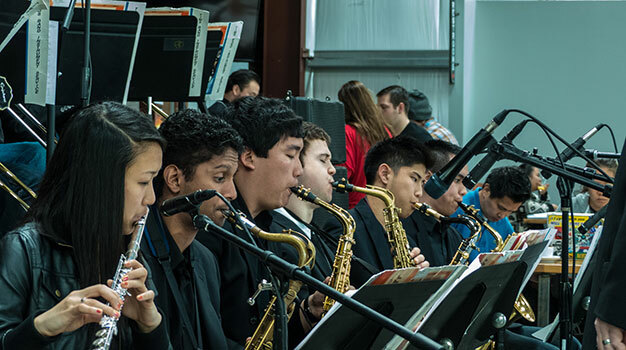 Next Gen Stage at the San Jose Jazz Summer Fest provides middle school, high school, and college students with opportunities to perform at a world class event alongside nationally and internationally acclaimed recording artists. San Jose Jazz believes that education takes many forms and performance is a vital part of a musician’s education. The Next Gen Stage line-up features some of the Bay Area’s best and brightest young musicians. Interested in having your youth ensemble perform at Summer Fest? Contact Bruce Labadie at brucel@sanjosejazz.org.